Two days of amazing Valley crafts for everyone on your Christmas list! 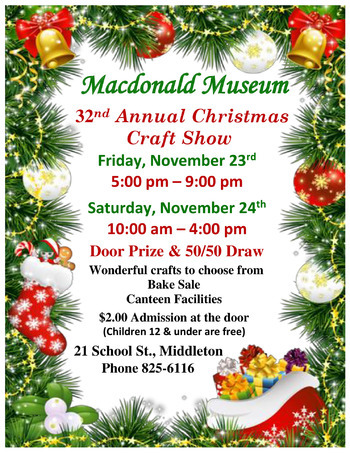 Browse three floors of vendors, have a delicious lunch at our canteen, get mouthwatering baked goods at our table, enter our 50/50 draw and get a ticket on our huge door prize. You can even get lovely greenery for your home, centerpieces, wreaths and a tree! 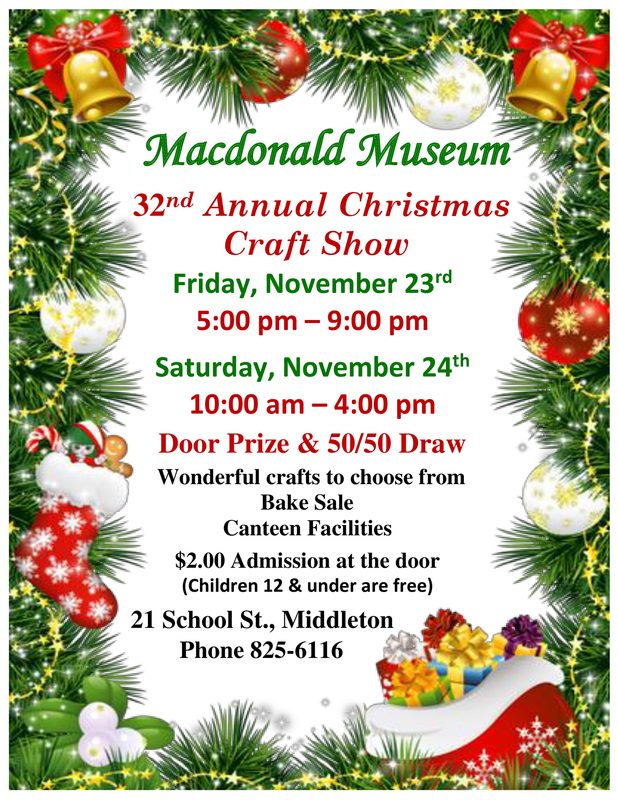 There is something for everyone at our Annual Craft Show!